The Hokianga is rich in both Maori and European history and culture and is viewed by many as the first chapter of the New Zealand story. Some of the earliest settled towns in New Zealand such as Rawene and Kohukohu are found here on the Hokianga. In February 1840 more Maori chiefs signed the Treaty of Waitangi at Mangungu on the upper reaches of the harbour than signed at Waitangi itself. Many firsts happened here. The first grapes to be planted in NZ were planted by Samuel Marsden in 1819. The first honey bees were imported by the Wesleyan mission in the 1830s. Archbishop Pompallier gave the first Catholic mass on the North Hokianga, also in the 1830s, prior to the reign of Queen Victoria. Footprints Waipoua, which is an internationally acclaimed guided walk into the Waipoua Kauri forest with Maori guides who explain the significance of the forest to them. 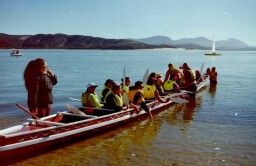 Motuti Marae offer various Marae experiences on the north side of the harbour. Sandtrails Hokianga offer dune buggy rides in the sand dunes with a Maori guide explaining the significance of that area. 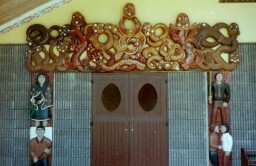 There is an opportunity to learn bone carving from an expert Maori bone carver. Clendon House in Rawene is open to the public. James Clendon was an early trader, magistrate and politician, who married a Maori lady after his first wife died. His story gives an insight into interaction between Maori and Pakeha in the 1840’s. The Curator tells with enthusiasm the inspirational story of how his second wife coped after she was widowed. The first missionaries to the NZ Maori settled in the Bay of Islands in 1814 but they soon came across land to the Hokianga and set up mission stations. Mangungu, near Horeke was established in 1828 and the house that is open to the public was built 10 years later. There are many historic churches visible throughout the Hokianga area. There is an excellent little museum at Omapere where helpful staff can answer all your questions relating to the history of the area.